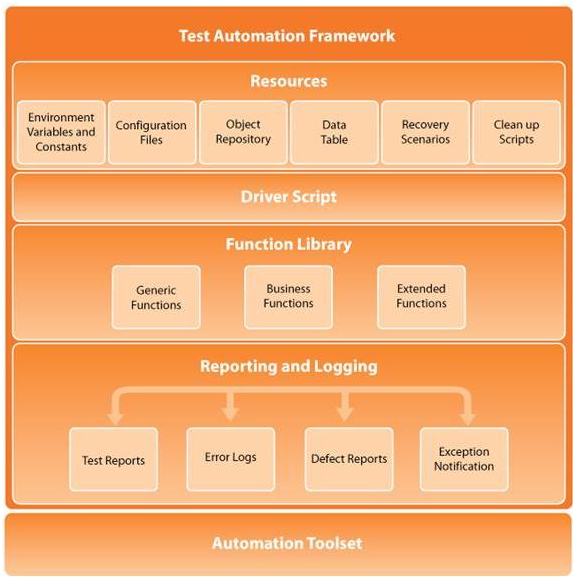 Atest automation framework is a set of assumptions, concepts and tools that provide support for automated software testing. The main advantage of such a framework is the low cost for maintenance. If there is change to any test case then only the test case file needs to be updated and the Driver Script and Startup script will remain the same. Ideally, there is no need to update the scripts in case of changes to the application. Choosing the right framework/scripting technique helps in maintaining lower costs. The costs associated with test scripting are due to development and maintenance efforts. The approach of scripting used during test automation has effect on costs.